For this week only, you can save 40% on our vivid Red Rosmeria Bouquet when you place an order online. 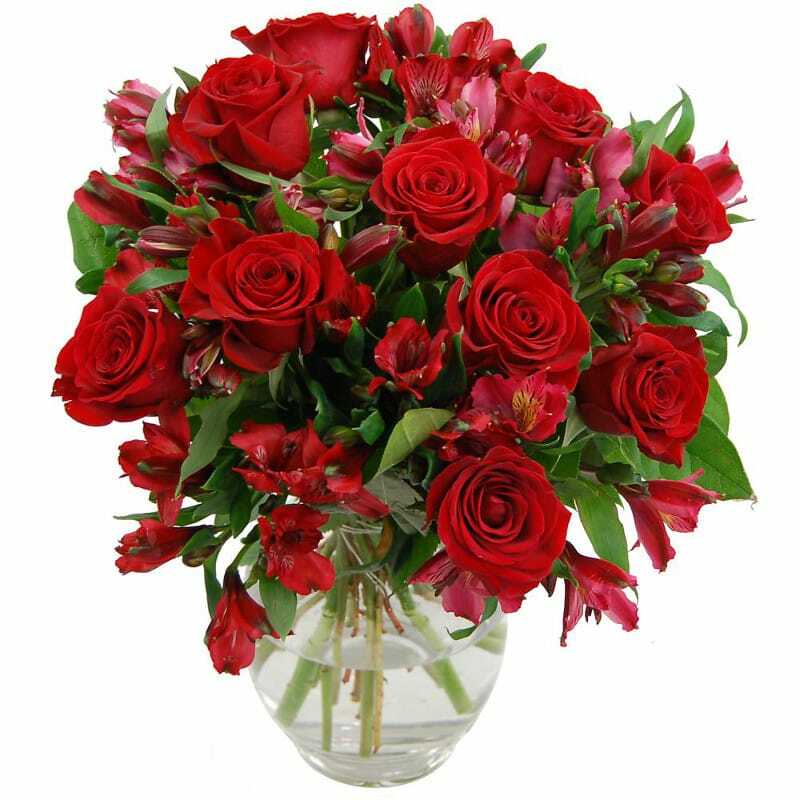 Until this Friday the 2nd of October the Clare Florist Red Rosmeria Bouquet is only £23.99 and this includes free standard next day delivery. That's a saving of £16 on the RRP, offering you fantastically good value for money. Bold and beautiful, this elegant bouquet features a mixture of fresh red roses and red alstroemeria which are artfully arranged amid foliage for a lovely natural look. This bouquet manages to combine the romantic passion of red roses with the mystique and allure of alstroemeria, one of South America's most enchanting flowers. The Red Rosmeria Bouquet is great as a gift and is perfect if you want to send romantic flowers to that special someone. Or why not spoil yourself? This distinctive bouquet would make a great addition to a windowsill or side table within your own household, lending a touch of colour and vibrancy to your surroundings. If you really want to go all out, don't forget about our Deluxe deal. For £5 extra, we'll add 50% more flowers to your order which is a real bargain for such a bountiful bouquet. There is also the option add an eloquent glass vase, yummy Thornton's chocolates, a cute teddy bear and a handwritten card if you are sending this bouquet as an extra special gift for a friend, relative or loved one.